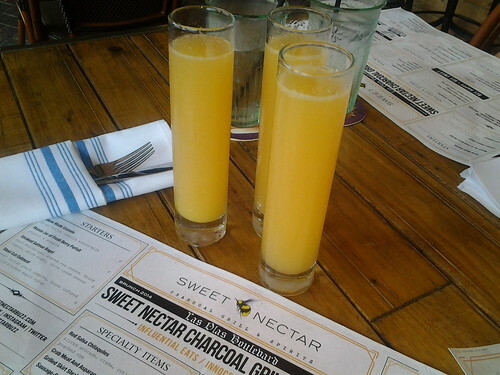 Sweet Nectar Charcoal Grill & Spirits is a neighborhood spot on Las Olas Boulevard; highlighting its local appeal is the relaxed, casual atmosphere that is enhanced with its indoor/outdoor seating for only 100 people. Sweet Nectar is where the locals go, small in size, yet, big on hospitality which makes it so inviting. 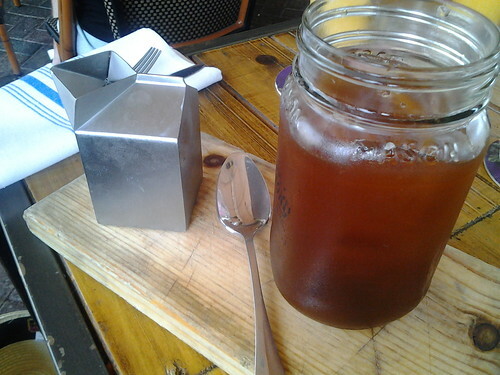 The cheery Sweet Nectar, focuses on big flavors, both, with its food and drink menu as well as its friendly service. Interesting and creative cocktails, along with classic food dishes with a unique spin are the pulse of Sweet Nectar. 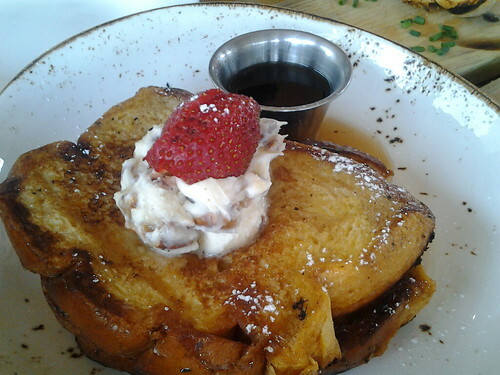 Sweet Nectar serves a weekend brunch, (Saturday and Sunday) from 11:30am-3pm. 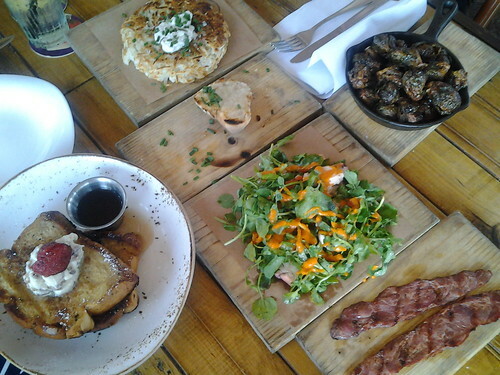 The menu is a la carte and priced just so making it ideal to share many different plates with your table-mates. And that is exactly what we did along with the $13 bottomless Rosé Mimosas. So many menu sections, so much to choose from; Sweet Nectar offers Shared Plates, Snacks, Starters, Brunch, Lunch and Dinner options, so it really depends on what you want and how much of it you want. 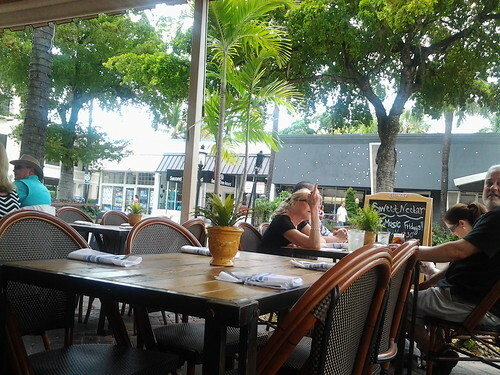 Portions are ample and satisfying but we found it best to order “everything’ and share it all; we started drinking the Sweet Nectar kool-aid…so when on Las Olas, Bee Happy….Bee Sweet.